The Newcastle United Blog | » Report – What Happens If The Disaster Scenario Becomes Real? Report – What Happens If The Disaster Scenario Becomes Real? Rafa Benitez and Newcastle United have equaled Steve McClaren’s dubious record of getting only 2 points out of our first 8 Premier League games. And in the 9th game McClaren’s Newcastle won 6-2 at home against Norwich to lift the mood but as we know McClaren was hopeless and we were still relegated. We are hoping we can beat Brighton at home on Saturday to get our first win of the season and hopefully take us out of the bottom three. 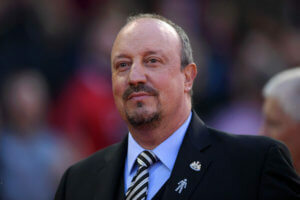 Rafa Benitez is a lot different and a lot better than Steve McClaren, so we do expect Rafa to have Newcastle safe and still in the Premier League come next summer. The Mirror today are reporting that while most fans think we will start to win soon, what happens if we don’t win in the next three or four games? But any talk of Rafa being fired is nonsense, and he remains our best chance of surviving again this season – as we did last season under his expert guidance. Rafa has been the calming influence on Tyneside since he arrived and to even talk about not winning any of the next four games is like putting gasoline on the fire at Newcastle. We have to remain positive and not over-think about a possible disaster scenario. We know Rafa doesn’t that way. We may not win on Saturday against Brighton but surely wins are on the way soon. Let’s not talk too negatively until the next four games are over against weaker opposition and the subsequent International break comes along. Maybe we’ll have four wins on the trot by then? Creating potential disastrous news is not a helpful business to be in. And it’s not even needed at Mike Ashley’s Newcastle – as we seem to lunge from one crisis to another. To me the disaster scenario is no money in January, Rafa walks and we are relegated. We did remarkably well last season to finish tenth, without much investment in the team. That was basically down to Rafa’s nous and his ability to get the most out of a bang average team. The majority of the season was played with the same team that got promoted. Cardiff are trying to do the same thing, but they haven’t got Rafa. This season sees us once again trying to survive without investment. No matter how good the manager is, he can only do so much. It’s no good either saying that the signings we have brought in are his choices. Behave. They’re not. They’re what he’s had to settle for because his choices cost more than three bottle tops – something Ashley won’t countenance. Still, he’ll battle on regardless. Unlike ourselves, the Brighton we play on Saturday have invested, but there’s no reason we can’t get up and running if we perform like we did at Old Trafford. At least Brighton can’t bring on substitutes worth more than our entire team as we tire. Muto impressed me. Maybe not quite used to the pace of the PL yet, but on his way towards that. Kenedy looking more like the player he was last season and the injury list is shrinking. No more top teams until boxing day either, although anybody thinking Bournemouth and Watford are gimme’s are delusional. Winning breeds confidence so let’s get up and running and see where that takes us. The truth is we’ve gone into yet another season under funded by an owner who doesn’t care. Luckily the manager and players do. Only time will tell if that’ s enough. Sooner or later though that luck will run out. Now there’s a score you don’t see everyday. Our luck has already run out. It ran out when Mikey Two Points arrived. Now we have to get ourselves out of this. We have to make Mikey hate us even more. But not just hate, despair. As in losing money by keeping us. As in “All right then, I’ll sell for whatever the market will bear!” Beautiful. Is that some sort of ladies sporting event lochinvar? I bet they could beat us… wait, that would be demoralizing… never mind. Wouldn’t you buy encyclopedia from Perez? That smile, that slicked back hair? He’s a natural. How’s tricks me owld son? You’re still soldiering on and by gawd, you’re showing some strength and stamina where others would’ve thrown the towel in. You rightly said that we did well last season and that was down to Rafa having most of the players that got us promoted. They gelled. However and whilst new players came in last window, Ashley being the helpful soul that he is, ignored Rafa’s desire to bring new players in early so they could have a pre-season together. The results, Rafa’s preferred buys ignored and a selection of buys, frees and loans brought in at the last minute. The result, as you well know, players who weren’t available to train together before the season started – they’re now going through what should’ve been the pre-season induction phase. Ashley, being locked in to his buying under 25 year olds, has made life difficult for Rafa and we’re seeing the results of his short-sightedness and parsimony. Let’s hope fans understand that Rafa’s got the nous to get his squad to gel but it’ll take time! I’m very excited vis a vis our season so far. Our Points, our prolific scoring, the shear glamour of being a Newcastle supporter. Huzzah!!! The Ladies version but the Glasgow lasses are playing in Barcelona. Meanwhile NUFC are sharing pizza. Ashley really needs to go. Can we match the Derby County record for least points in a Prem season? It’s 11 by the way. I know, I know lads that’s a lot of points we’re talking aboot. Now, if we keep wor point per month pace we would be on 9 or 10 points! That’s incredible! Another record for Mikey Two Points to crow aboot! We are on a slippery slope. Endless undersjpending, steadily weakening squad, more and more difficulty reaching that point per month peak performance, Rafa gets fed up and leaves, Mikey has to hide again, a new head coach comes in and we don’t get back up, club value continues to decline… Sound like fun Mikey? undersjpending… that’s Danish for underspending. Think he will give us away once we’re in the 3rd division ? The Scots ladies look fit. Can we have some of them for our squad? Wonder who they pretends buying us next ? Lesh, I think the majority do realise that Rafa’s fighting with both hands behind his back mate, but as you know from here, some just haven’t a clue. They think a manager like Rafa should be able to take a pub team and turn them into world beaters, when the reality is far from that scenario. The PL gets better every year. If you don’t progress, you go backwards. No coincidence the three bottom teams haven’t invested. Doesn’t matter how big a club you are, money talks. Good to finally hear that pundits are finally expressing the view that Newcastle’s potential is being wasted. Seems that view is spreading worldwide too, alerting potential buyers to the possibility. Hopefully somebody will make him an offer he’s too greedy to ignore. He’s truly wasted a massive opportunity with his tight fistedness. More fool him. Somebody will eventually show him exactly what he has wasted and take us where we deserve to be. After watching Perez and Hoser Loo I now realize Shearer is not too old to play for us! Sign Shearer! Get him a nice wheely chair! He can do it!!! It’s just been on Look North about buying that Scottish club, he’s not going anywhere lads. Did Kevin Nolan say anything interesting on total sport. Ashley is serious about buying Greenock Morton. Looks like he’s staying I’m afraid. He’s possibly Winding Rangers Fans up . Make Greenock (1994) Morton bigger than Rangers. He just wants more….more advertising and more money ! Lambiasarse has been attending Morton games with Carr. Not G Carr. ashley carnt buy morton and still own. Quite funny jib on earlier advising someone to use spellchecker and then he himself promptly described someone who reneges on paying his debts as a welsher instead of the correct welcher. YCMIU. different league i think you’ll find he can. either i have my finger on the pulse or have a lot of influence. ownership by proxy maybe. i think he should buy a football team in another country like Austria, Serbia, french 2nd division, seriously. Greenock has a lot in common with Tyneside. have you ever been to Greenock Online Guy? i wonder if Steve McClaren’s 8 matches were as difficult. Heard anything more fella on any takeover craic ? I know you were trying to track a source down but I am struggling with WiFi over here nd just in case I have missed a post.